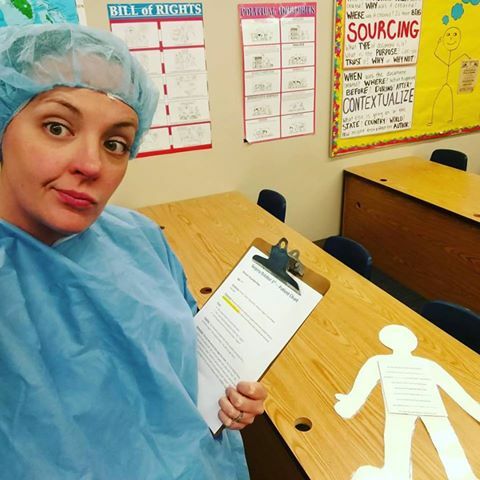 I have been known to walk down the hallways of my school in scrubs, surgical hat, and gloves. 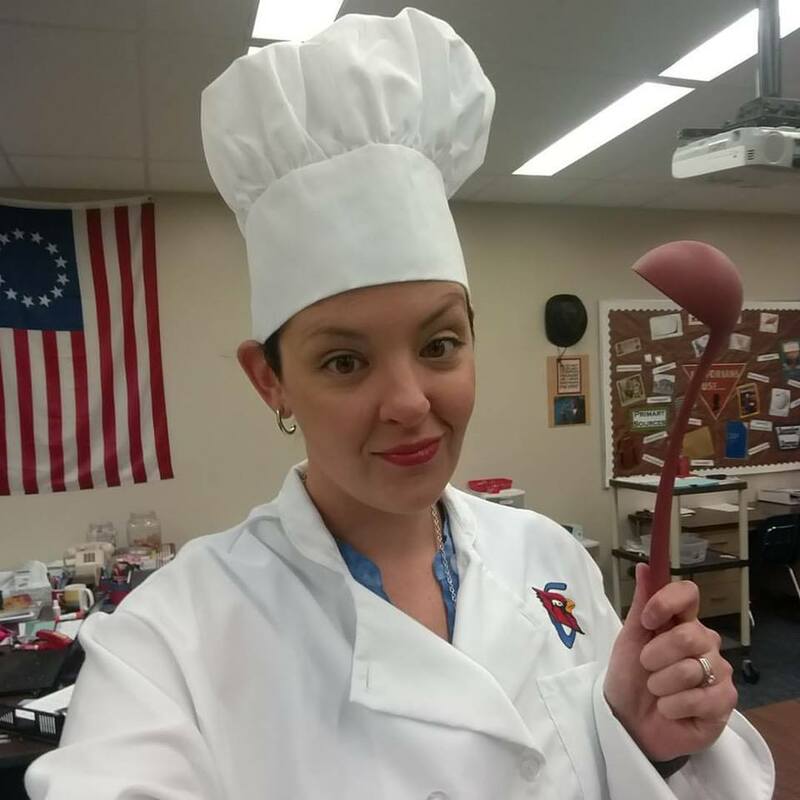 I have also paraded myself around in full-chef-gear – thanks to our culinary arts department. I have a replica Indiana Jones hat. I wear it. Strutting through the hallway. You see, while I’m walking through the halls, interacting with students I am creating a buzz. Students from all over the halls want to come and get a look at Mrs. Weber all done up. I start getting questions from the kids who’ll show up in my classroom that day. Oh…we must be doing something fun! Look at Mrs. Weber? Yes! I can’t wait to come to class. And then there’s also the students who have me as a teacher, but aren’t scheduled to see me that day. Those conversations are fun too . . .
Why can’t I have you today? Is today social studies day…awww man, I wish it was our day to have your class. Will you do this activity with us too…pppppllllleeeeeaaaaaassssseee? – Keep in mind, they have no idea what the activity is or what students will be required to do. The next set of comments come from the 6th grade students. These are probably my favorite. You see, I don’t have 6th graders. But my get-up gets them curious about who I am and what goes on when my classroom door closes. What do you teach again? I can’t wait until I have your class. Can I come to 7th grade today? You see. Because of my outfit, I have kids in our school who won’t have me for at least a year, excited about my class. This way, they know, when they walk into my classroom as 7th graders it’s going to be different. I am building a reputation just by putting on a silly hat and gloves. Think about it. What are you doing to promote your class? Even if you sit in your room with your door closed, you’re advertising. You may just not realize it. But, Mrs. Weber . . . it’s not in my personality to do stuff like this. I get it. Really, I do. For years I thought the exact same way. I’m not “outgoing like that” or “I just can’t act goofy . . . I’m too shy.” But then I started to take a look at my classroom and the things I was asking my students to do. I was asking them to STEP OUTSIDE THEIR COMFORT ZONE all the time. So why shouldn’t I? You won’t discover what talent you have outside your comfort zone if you never venture out there. There are many ways to pump up excitement about our classes. 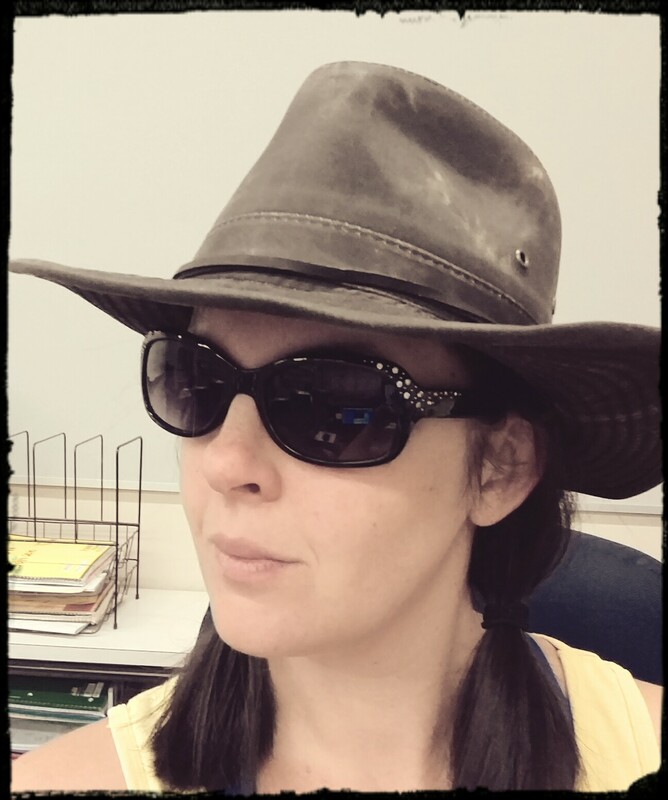 Occasionally dressing up when the activity supports it is my way.